The original Dominator® took carburetion to another level in 1969 when it was developed for NASCAR® racing. Holley Dominator carburetors are designed specifically for making top end horsepower and torque in high end racing engines and are the perfect carburetor for the budget minded racer. 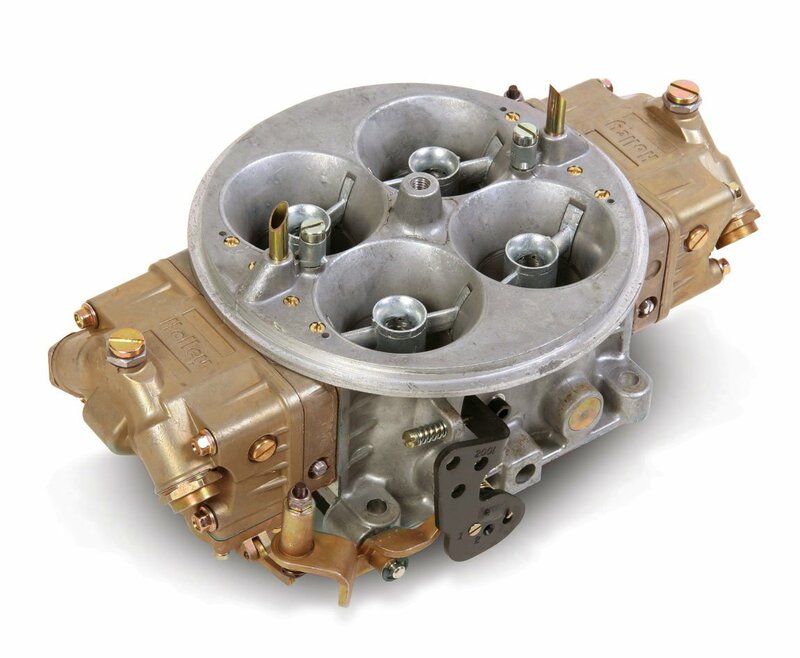 Classic Dominator carburetors feature an aluminum main body with a contoured venturi inlet for balanced airflow and increased horsepower, screw in air bleeds for easy fine tuning, high flow metering system with race calibrations and annular boosters. Other features include Dominator fuel bowls to allow plumbing from either side, high flow needle and seats, 50cc accelerator pumps, and 4 corner idle. The Classic Dominator carburetors are available in 2 or 3 circuit configurations and your choice of 1x4 or 2x4 set-ups. The Classic Dominator is also offered in a methanol or marine calibration.